Humankind evolved to seek rewards and avoid risks but not to invest wisely. (Money Magazine) -- For most purposes in daily life, your brain is a superbly functioning machine, steering you away from danger while guiding you toward basic rewards like food, shelter and love. But that brilliant machine can lead you astray when it comes to investing. 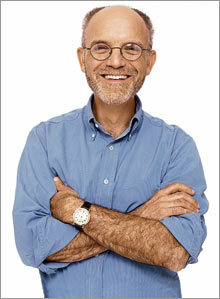 Jason Zweig is the author of "Your Money and Your Brain", Simon & Schuster (2007). 1. In Year One, Weeds.com earns $2.50 per share. In Year Two, it earns $5 per share. In Year Three, it earns $10 per share. What is your best estimate of what Weeds.com will earn in Year Four? How on earth would I know? You buy high only to sell low. You try to time the market. You follow the crowd. You make the same mistakes again. And again. How come? We're beginning to get answers. Scientists in the emerging field of "neuroeconomics" - a hybrid of neuroscience, economics and psychology - are making stunning discoveries about how the brain evaluates rewards, sizes up risks and calculates probabilities. With the wonders of imaging technology we can observe the precise neural circuitry that switches on and off in your brain when you invest. Those pictures make it clear that your investing brain often drives you to do things that make no logical sense - but make perfect emotional sense. Your brain developed to improve our species' odds of survival. You, like every other human, are wired to crave what looks rewarding and shun what seems risky. To counteract these impulses, your brain has only a thin veneer of modern, analytical circuits that are often no match for the power of the ancient parts of your mind. And when you win, lose or risk money, you stir up some profound emotions, including hope, surprise, regret and the two we'll examine here: greed and fear. Understanding how those feelings - as a matter of biology - affect your decision-making will enable you to see as never before what makes you tick, and how you can improve, as an investor. Why is it so hard for most of us to learn that the old saying "Money doesn't buy happiness" is true? After all, we feel as if it should. The answer lies in a cruel irony that has enormous implications for financial behavior: Our brains come equipped with a biological mechanism that is more aroused when we anticipate a profit than when we get one. I lived through the rush of greed in an experiment run by Brian Knutson, a neuroscientist at Stanford University. Knutson put me into a functional magnetic resonance imaging (fMRI) scanner to trace my brain activity while I played a kind of investing video game that he had designed. By combining an enormous magnet and a radio signal, the fMRI scanner pinpoints momentary changes in the level of oxygen as blood ebbs and flows within the brain, enabling researchers to map the neural regions engaged by a particular task. In Knutson's experiment, a display inside the fMRI machine showed me a sequence of shapes that each signaled a different amount of money: zero ($0), medium ($1) or large ($5). If the symbol was a circle, I could win the dollar amount displayed; if it was a square, I could lose the amount shown. After each shape came up, between 2 and 2� seconds would pass - that's the anticipation phase, when I was on tenterhooks waiting for my chance to win or lose - and then a white square would appear for a split second. To win or avoid losing the amount I had been shown, I had to click a button with my finger when the square appeared. At the highest of the three levels of difficulty, I had less than one-fifth of a second to hit the button. After each try the screen showed how much I'd just won or lost and updated my cumulative score. When a shape signaling a small reward or penalty appeared, I clicked placidly and either won or lost. But if a circle marked with the symbols of a big, easy payout came up, I could feel a wave of expectation sweep through me. At that moment, the fMRI scan showed, the neurons in a reflexive, or emotional, part of my brain called the nucleus accumbens fired like wild. When Knutson measured the activity tracked by the scan, he found that the possibility of winning $5 set off twice as strong a signal in my brain as the chance at gaining $1 did. On the other hand, learning the outcome of my actions was no big deal. Whenever I captured the reward, Knutson's scanner found that the neurons in my nucleus accumbens fired much less intensely than they had when I was hoping to get it. Based on the dozens of people Knutson has studied, it's highly unlikely that your brain would respond much differently. Why does the reflexive part of the brain make a bigger deal of what we might get than of what we do get? That function is part of what Brian Knutson's mentor, Jaak Panksepp of Bowling Green State University in Ohio, calls "the seeking system." Over millions of years of evolution, it was the thrill of anticipation that put our senses in a state of high awareness, bracing us to capture uncertain rewards. Our anticipation circuitry, says Paul Slovic, a psychologist at the University of Oregon, acts as a "beacon of incentive" that enables us to pursue rewards that can be earned only with patience and commitment. If we derived no pleasure from imagining riches down the road, we would grab only at those gains that loom immediately in front of us. Thus our seeking system functions partly as a blessing and partly as a curse. We pay close attention to the possibility of coming rewards, but we also expect that the future will feel better than it does once it turns into the present. A vivid example of this is the stock of Celera Genomics Group. In September 1999, Celera began sequencing the human genome. By identifying each of the 3 billion molecular pairings that make up human DNA, the company could make one of the biggest leaps in the history of biotechnology. Investors went wild with anticipation, driving the stock to a peak of $244 in early 2000. Then, on June 26, Celera announced that it had completed cracking the code. How did the stock react? By tanking. It dropped 10.2% that day and another 12.7% the next day. Nothing had occurred to change the company's fortunes for the worse. Quite the contrary: Celera had achieved a scientific miracle. So what happened? The likeliest explanation is simply that the anticipation of Celera's success was so intense that reality was a letdown. Getting exactly what they wished for left investors with nothing to look forward to, so they got out and the stock crashed. Researchers in Germany tested whether anticipating a financial gain can improve memory. A team of neurologists scanned people's brains with an fMRI machine while showing them pictures of objects like a hammer or a car. Some images were paired with the chance to win half a euro, while others led to no reward. The participants soon learned which pictures were reliably associated with the prospect of making money, and the scan showed that their anticipation circuits fired furiously when those images appeared. Immediately afterward, the researchers showed the participants a larger set of pictures, including some that had not been displayed inside the scanner. People were highly accurate at distinguishing the pictures they had seen during the experiment and equally adept at recognizing which of those pictures had predicted a gain. Three weeks later the participants came back to the lab, where they were shown the pictures again. This time people could even more readily distinguish the pictures that had signaled a financial gain from those that had not - although they hadn't laid eyes on them in 21 days! Astounded, the researchers went back and re-examined the fMRI scans from three weeks earlier. It turned out that the potentially rewarding pictures had set off more intense activation not only in the anticipation circuits but also in the hippocampus, a part of the brain where long-term memories live. The fire of expectation, it seems, somehow sears the memory of potential rewards more deeply into the brain. "The anticipation of reward," says neurologist Emrah D�zel, "is more important for memory formation than is the receipt of reward." Anticipation has another unusual neural wrinkle. Brian Knutson has found that while your reflexive brain is highly responsive to variations in the amount of reward at stake, it is much less sensitive to changes in the probability of receiving a reward. If a lottery jackpot was $100 million and the posted odds of winning fell from one in 10 million to one in 100 million, would you be 10 times less likely to buy a ticket? If you're like most people, you probably would shrug, say "A long shot's a long shot" and be just as happy buying a ticket as before. That's because, as economist George Loewenstein of Carnegie Mellon University explains, the "mental image" of $100 million sets off a burst of anticipation in the reflexive regions of your brain. Only later will the analytical, or reflective, areas calculate that you're less likely to win than Ozzy Osbourne is to be elected Pope. When possibility is in the room, probability goes out the window. It's no different when you buy a stock or a mutual fund: Your expectation of scoring a big gain elbows aside your ability to evaluate how likely you are to earn it. That means your brain will tend to get you into trouble whenever you're confronted with an opportunity to buy an investment with a hot - but probably unsustainable - return. Here are two questions that might, at first, seem silly. 1 Which is riskier: a nuclear reactor or sunlight? Now let's look at the answers. The worst nuclear accident in history occurred when the reactor at Chernobyl, Ukraine melted down in 1986. Early estimates were that tens of thousands of people might be killed by radiation poisoning. By 2006, however, fewer than 100 had died. Meanwhile, nearly 8,000 Americans are killed every year by skin cancer, commonly caused by overexposure to the sun. In the typical year, deer are responsible for roughly 130 human fatalities - seven times more than alligators, bears, sharks and snakes combined. Deer, of course, don't attack. Instead, they step in front of cars, causing deadly collisions. None of this means that nuclear radiation is good for you or that rattlesnakes are harmless. What it does mean is that we are often most afraid of the least likely dangers and frequently not worried enough about the risks that have the greatest chances of coming home to roost. We're no different when it comes to money. Every investor's worst nightmare is a stock market collapse like the crash of 1929. According to a recent survey of 1,000 investors, there's a 51% chance that "in any given year, the U.S. stock market might drop by one-third." In fact, the odds that U.S. stocks will lose a third of their value in a given year are around 2%. The real risk isn't that the market will melt down but that inflation will erode your savings. Yet only 31% of the people surveyed were worried that they might run out of money during their first 10 years of retirement. If we were logical we would judge the odds of a risk by asking how often something bad has actually happened under similar circumstances. Instead, explains psychologist Daniel Kahneman, "we tend to judge the probability of an event by the ease with which we can call it to mind." The more recently it occurred or the more vivid our memory of something like it in the past, the more "available" an event will be in our minds - and the more probable its recurrence will seem. The result is that a moment of panic can wreak havoc on your investing strategy. Because the amygdala is so attuned to big changes, a sudden drop in the market tends to be more upsetting than a longer, slower decline, even if it's greater in total. On Oct. 19, 1987, the U.S. stock market plunged 23% - a deeper one-day drop than the crash of '29. Big, sudden and inexplicable, the '87 crash was exactly the kind of event that sparks the amygdala. The memory was hard to shake: In 1988, U.S. investors sold $15 billion more worth of shares in stock mutual funds than they bought, and their net purchases of stock funds didn't recover to pre-crash levels until 1991. One bad Monday disrupted the behavior of millions of people for years. There was something more at work here than merely investors' individual fears. Anyone who has ever been a teenager knows that peer pressure can make you do things as part of a group that you might never do on your own. But do you make a conscious choice to conform or does the herd exert an automatic, almost magnetic, force? People were recently asked to judge whether three-dimensional objects were the same or different. Sometimes the folks being tested made these choices in isolation. Other times they first saw the responses of four "peers" (who were, in fact, colluding with the researcher). When people made their own choices, they were right 84% of the time. When the peer group all made the wrong choice, however, the individuals being tested chose correctly just 59% of the time. Brain scans showed that when the subjects followed the peer group, activation in parts of their frontal cortex decreased, as if social pressure was somehow overpowering the reflective, or analytical, brain. When people did buck the consensus, brain scans found intense firing in the amygdala. Neuroscientist Gregory Berns, who led the study, calls this flare-up a sign of "the emotional load associated with standing up for one's belief." Social isolation activates some of the same areas in the brain that are triggered by physical pain. In short, you go along with the herd not because you want to but because it hurts not to. Being part of a large group of investors can make you feel safer when everything is going great. But once risk rears its ugly head, there's no safety in numbers. I learned how my own amygdala reacts to risk when I participated in an experiment at the University of Iowa. First I was wired up with electrodes and other monitoring devices to track my breathing, heartbeat, perspiration and muscle activity. Then I played a computer game designed by neurologists Antoine Bechara and Antonio Damasio. Starting with $2,000 in play money, I clicked a mouse to select a card from one of four decks displayed on the monitor in front of me. Each "draw" of a card made me either "richer" or "poorer." I soon learned that the two left decks were more likely to produce big gains but even bigger losses, while the two right decks blended more frequent but smaller gains with a lower chance of big losses. Gradually I began picking most of my cards from the decks on the right; by the end of the experiment I had drawn 24 cards in a row from those safer decks. Afterward I looked over the printout that traced my spiking heartbeat and panting breath as the red alert of risk swept through my body, even though I didn't recall ever feeling nervous. Early on, when I drew a card that lost me $1,140, my pulse rate shot from 75 to 145. After a few more bad losses from the risky decks, my body would start reacting even before I selected a card from one of them. Merely moving the cursor over the risky decks was enough to make my physiological functions go haywire. My decisions, it turns out, had been driven by fear even though the "thinking" part of my mind had no idea I was afraid. Ironically - and thankfully - this highly emotional part of our brain can actually help us act more rationally. When Bechara and Damasio run their card-picking game with people whose amygdalas have been injured, the subjects never learn to avoid choosing from the riskier decks. If told that they have just lost money, their body doesn't react; they can no longer feel a financial loss. Without the saving grace of fear, the analytical parts of the brain will keep trying to beat the odds, with disastrous results. "The process of deciding advantageously," concludes Damasio, "is not just logical but also emotional."